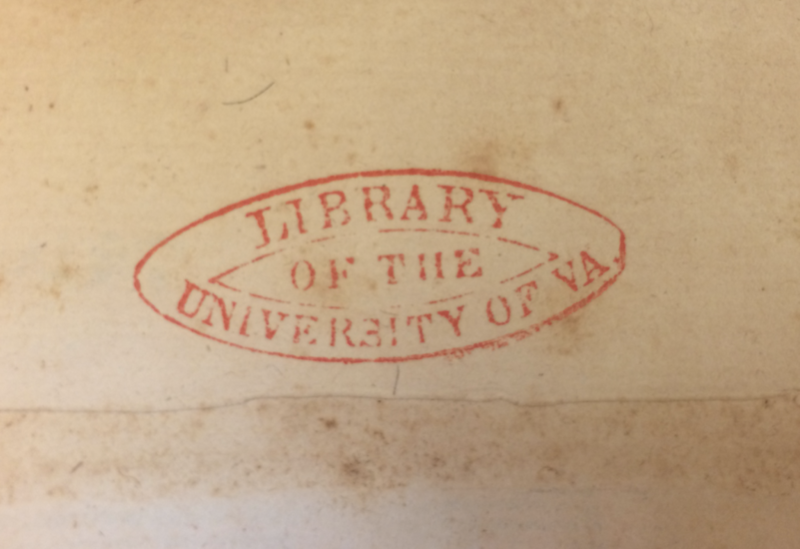 The RLO logo is modelled on the earliest surviving book stamp (pictured below) used to mark volumes shelved in the University of Virginia's Rotunda Library. RLO is currently at work taxonimizing book stamps that survive in an effort to date them within approximate ranges. This will aid in determining when individual volumes were acquired by the University.